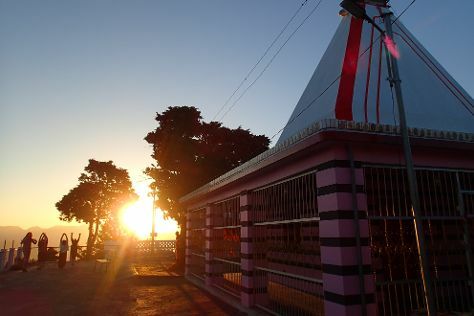 Explore hidden gems such as Kunjapuri Devi Temple and Vashishta Gufa. There's lots more to do: paddle through the water with a kayaking and canoeing tour, browse the fresh offerings at Cooking Masala, gain a rich perspective with a tour of cultural highlights, and take in the dramatic scenery at Neer Garh Waterfall, Rishikesh. For more things to do, where to stay, traveler tips, and tourist information, you can read our Rishikesh holiday planner . Finish your sightseeing early on the 27th (Sun) to allow enough time to travel back home.